Higher-than-normal rainfall totals of up to 300 percent above average have been registered in some parts of the Midwest over the past month with many areas experiencing significant rainfall over the past few days. According to The Climate Corporation Weather Science Team, numerous areas of the country, especially Kansas, Oklahoma, Missouri, Illinois, Michigan and Wisconsin, have been affected by these abnormal precipitation amounts. 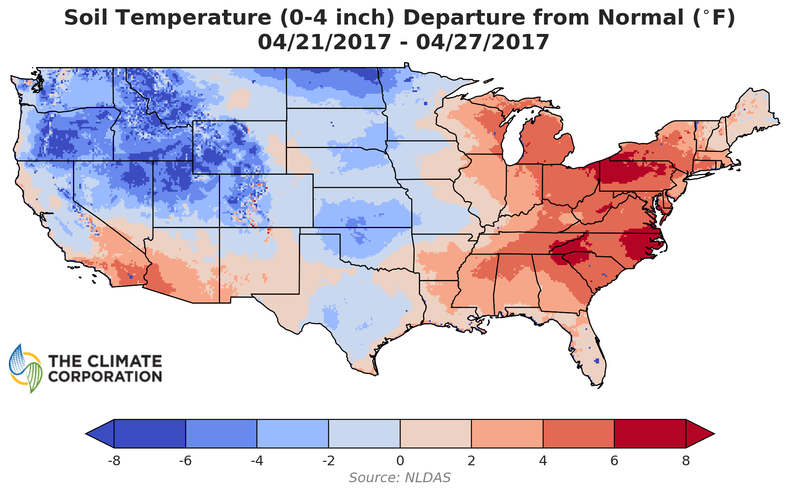 This abnormal moisture comes after a period of higher-than-normal spring air temperatures that have contributed to early season soil temperatures which were 4 to 8°F above normal over some areas east of the Mississippi River. How can these varying conditions affect farmers during planting season? Some farmers have already planted and are concerned about what this wet weather means to their crops in the ground, while others are experiencing planting delays as they wait for drier field conditions. In addition, this variability in the weather can affect nitrogen carryover from the fall or early season applications. Leaching, the loss of soluble minerals and inputs, and volatilization, input loss from emissions into the air, can occur in soils that are exposed to warm weather and excessive rainfall. These losses can reduce the amount of available nitrogen throughout the growing season. How Can You Adapt To Abnormal Weather Patterns? Climate FieldView™ Rainfall Reports – Field-level rainfall estimates ensure you have more information to make short-term decisions, like if a field is workable on a specific day. We recently made some enhancements to our weather model to improve the accuracy of the estimates we are providing you. We continue to look for opportunities to bring you the most precise and reliable weather service. Subscribe to Climate FieldView™ weather notifications now by emailing us at support@climate.com or call us at 1.888.924.7475. Climate FieldView™ Nitrogen Monitoring Tools – Especially during atypical weather and in variable soil conditions, these tools (available for Climate FieldView™ Pro users only) help you stay on top of changing conditions that may affect nitrogen availability in your fields. This allows you to spot potential shortfalls and add or edit your nitrogen data to include sidedress applications and other strategies to ensure you have enough to meet your yield goals. Due to abnormal weather conditions, spring planting is starting out as a challenge for many Midwest farmers. 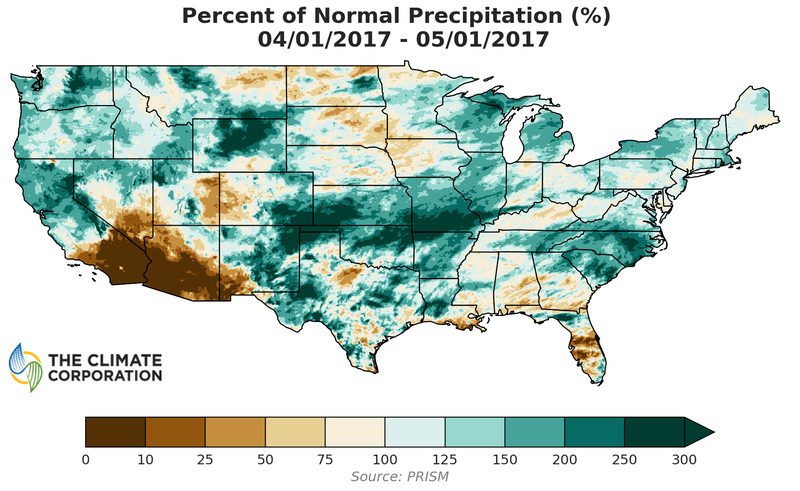 A short time ago, soil conditions in most areas looked ready for planting – now excessive rainfall is keeping many farmers out of the field. Stay on top of these ever-changing weather patterns and what it means to your fields by utilizing Climate FieldView monitoring tools and resources. Be prepared and we will continue to keep you updated.